By blending a unique mix of jazz, R&B, classical and Latin music, saxophonist Andrew Neu delivers a fresh sound to the contemporary music scene. Whether he’s in concert as a solo artist or a sideman, Andrew’s musicianship and engaging stage presence continue to get the attention of audiences and critics alike. Currently touring the country with Bobby Caldwell, Andrew has shared the stage with Sir Elton John, Patti Labelle, Mellissa Manchester, Mel Torme, The Four Tops, and The Temptations as well as jazz artists Rick Braun, Richard Elliot, Mindi Abair, Euge Groove, Kim Waters, Steve Oliver, Warren Hill, Nick Colionne and Brian Simpson. 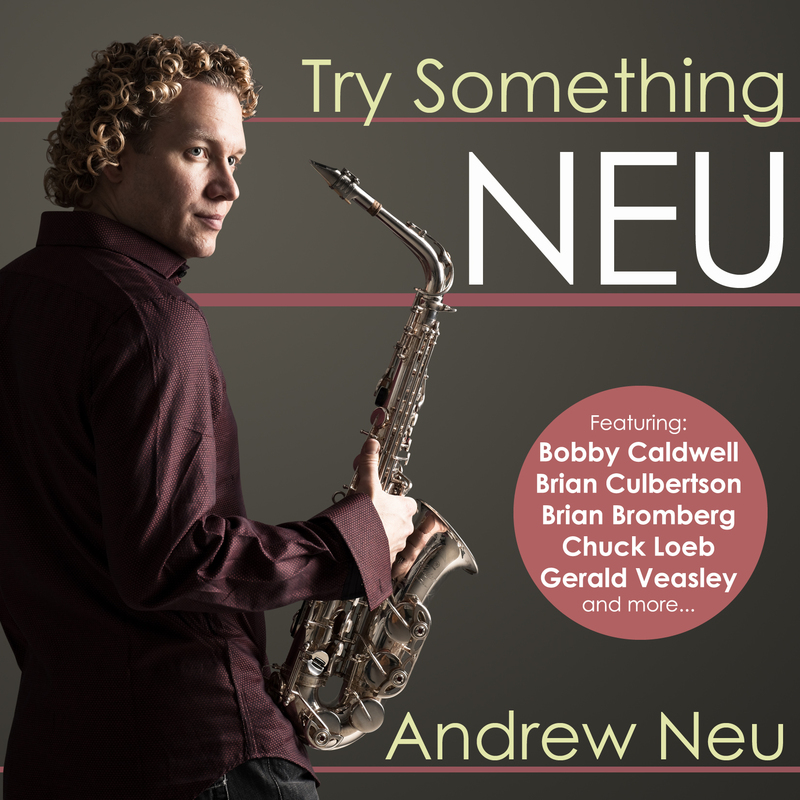 Fueled by the international success of two independent CDs, Andrew makes his debut on NuGroove Records with ‘Try Something Neu’ produced by Brian Bromberg, Chuck Loeb and Gerald Veasley. It also features Bobby Caldwell, Brian Culbertson and Dan Siegel.